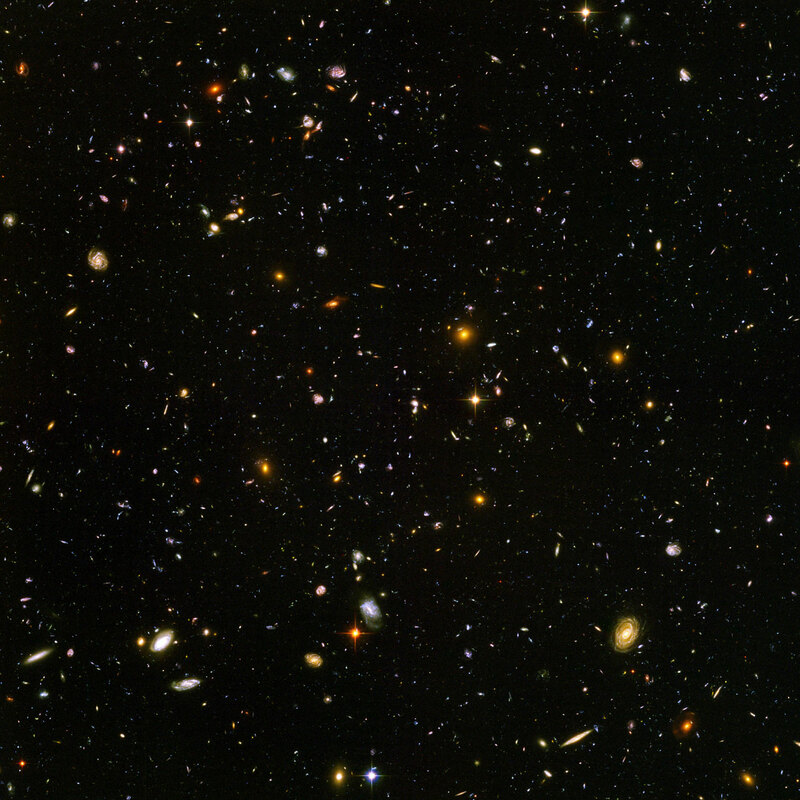 The famous Hubble Ultra Deep Field image reveals thousands of distant galaxies in a very small part of the sky. About 13 million of these images would be needed to cover the entire sky. The observable universe contains about 2 trillion galaxies.